You’ve made the decision to change your life. You’re tired of constantly struggling for energy. You want to be vibrant and full of health. You want to look and feel great. And you know that in order to accomplish all those goals, there are certain changes you have to make. There are certain types of foods you need to cut back on. We’ve already talked about how sugar is a major enemy of fat loss… and how eating too many simple carbohydrates will send your body spiraling into fat storage mode. We’ve talked about eating the wrong types of fats… and the major impact that can have on our health. But there’s something else we’re eating that may be even more dangerous to our health. It can dehydrate us, give us breathing difficulties, and put an incredible amount of strain on our hearts. The substance I’m talking about can cripple our fat loss efforts… making it almost impossible for us to lose weight! And whether you know it or not, chances are you’re already consuming WAY too much of it. 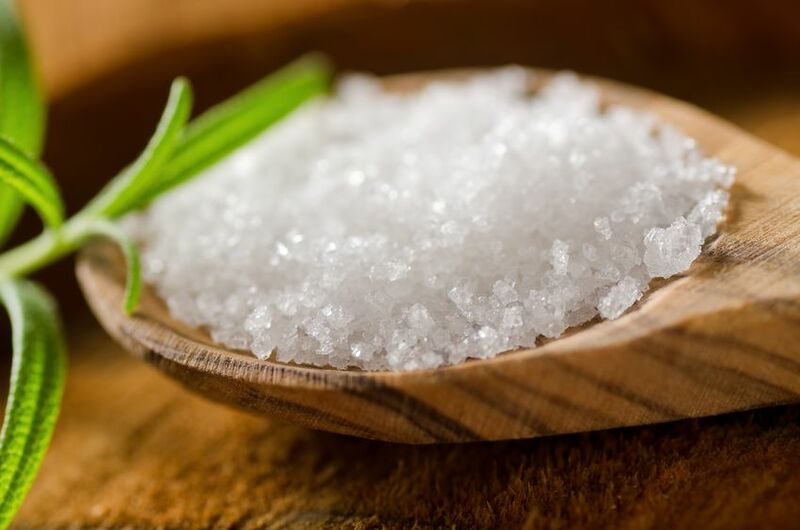 Because most people just connect sodium with salt, they think that laying off the table salt is enough to keep them in a healthy range. Because sodium is hidden in most of the foods we eat. Which becomes a huge problem when we add the real sodium culprits into our diet! Because all the processed foods we eat… are absolutely loaded with sodium. I’m talking about the pizzas, the pastas, the potato chips, the cereal, the bacon, the deli meats, the processed cheeses, the fast foods… it’s even in some protein powders and bars! Basically, if it comes in a box or bag, chances are it contains way more sodium than you should be getting! Sodium is added to foods as a preservative… to help extend their shelf-life. That’s why canned foods have so much of it. It’s used to improve company profits, certainly not your health. Now don’t get me wrong. Sodium by itself isn’t bad for you. Our bodies need it in certain amounts in order to function properly. It’s an important mineral. But like almost all things, it has to be in moderation. There’s a certain balance that has to be achieved. With the right balance, fat loss becomes almost effortless. You can discover how to achieve perfect balance inside Fat Loss Fiesta, the step-by-step fat blasting guide! And the way most of us eat puts our sodium levels dangerously out of balance. If you eat fast food, chances are you’re in that danger zone. The breakfast chain Denny’s recently had a class-action suit filed against them for the ridiculous amounts of sodium they put in their food. In fact, it was shown that their Meat Lover’s Scramble—a popular breakfast they offer in all over their 1500+ restaurants— contains 5690 milligrams of artery-clogging sodium. That’s nearly three days of the recommended sodium allowance… in just ONE MEAL! It’s crazy… and a great example of how easy it is to put ourselves at risk if we aren’t careful. And those risks are nothing to sneeze at. Too much sodium puts us at risk of high blood pressure. It places a burden on our kidneys, who try to bring our sodium back down to manageable levels. But when there’s too much to effectively eliminate, that sodium starts building up. It starts leaking out into our arteries and can cause blockages. This makes our hearts have to work harder… and can eventually lead to heart failure. Plus, it just makes us look bad. Sodium is incredibly dehydrating. It pulls water out of our cells and this water gets trapped beneath our skin, where we have a harder time making use of it. So we begin to feel the effects of dehydration like thirst, lack of energy, and dry mouth. And since the water gets trapped beneath our skin, it causes us to look bloated! Our bodies start retaining extra water and we can see the effects both in the mirror and on the scale. Last week, I went to a business convention. I was on a tight schedule and there wasn’t any healthy food around. So I was stuck eating the food they offered… foods that were loaded with sodium. And well… I gained six pounds from it! Six frustrating pounds… from making one mistake you probably didn’t even know you were making! The proven principles I’ve used to drop over 55 pounds of fat in little time. * Click here to learn them all! But if I didn’t know better… if I kept making the same mistake… it would seem almost impossible to lose the weight. How do we keep ourselves in a healthy sodium range? Well, there’s a simple two-step process for doing that. First, we obviously want to stay away from too much table salt. Don’t rely on it to add taste to your foods. There are many other delicious seasonings you can use to add flavor without jeopardizing your health. You have many options here, like: garlic, rosemary, thyme, chopped onion, pepper, and dill weed. These are all great-tasting alternatives to salt. But then, part two is to cut out the processed food. Stay away from the potato chips and cookies. Cut down on the fast food. As long as you eat this way, you’ll find that your sodium naturally falls to acceptable levels. And that water weight you’re holding onto becomes much easier to lose. So make sure to keep track your sodium intake and watch your weight naturally start to drop. Also… please share this information with your friends. The effects are too dangerous to play around with. But remember… eating too much sodium is just one mistake people commonly make. There are several other mistakes that can also make it hard to lose weight. Then you probably want to check out Fat Loss Fiesta, the step-by-step “fat blasting” guide… where NOTHING is left out. But in the meantime… if you have any questions or comments, let me know in the section below.